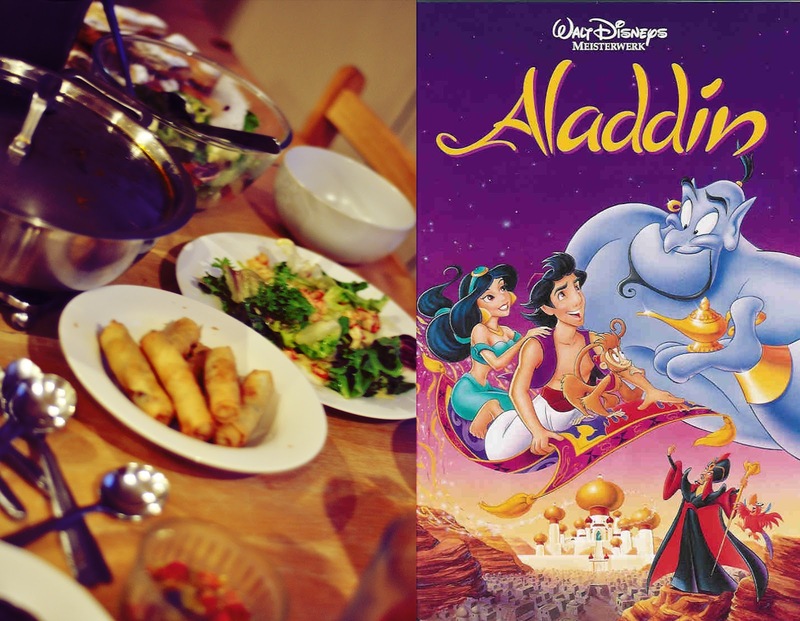 I'm going to avoid writing about Aladdin…I'm pretty sure most of you have watched it or at least hear of it. As for food…there is always a feast during Ramadan, sorry to disappoint most of it won't include receipt :/ The feast includes spring roles, salad with prawns and avocado, Algerian soup, meatball sauce with bread, Vimto juice, pastry and many others that I can't seem to remember…let the pictures speak for themselves. Also, DATES, very important! Lion King & Mulan NEVER get old for me. The food looks delicious. Ramadan Mubarak to you and your family. Lovely. I want to watch a movie. The only movie I own is Spanglish and my sister hogs it. The food looks delicious!